There is a plastic protective cover that doesn't seem like it's meant to stay on the book. You could leave it on there with no trouble, but taking it off (to remove the paper insert, for example) and replacing it later could cause the cover to tear because it's super-thin. The book looks better without the plastic, too. The cover is heavyweight slightly textured paper. The title is embossed and the word "premium" is stamped in gold foil. 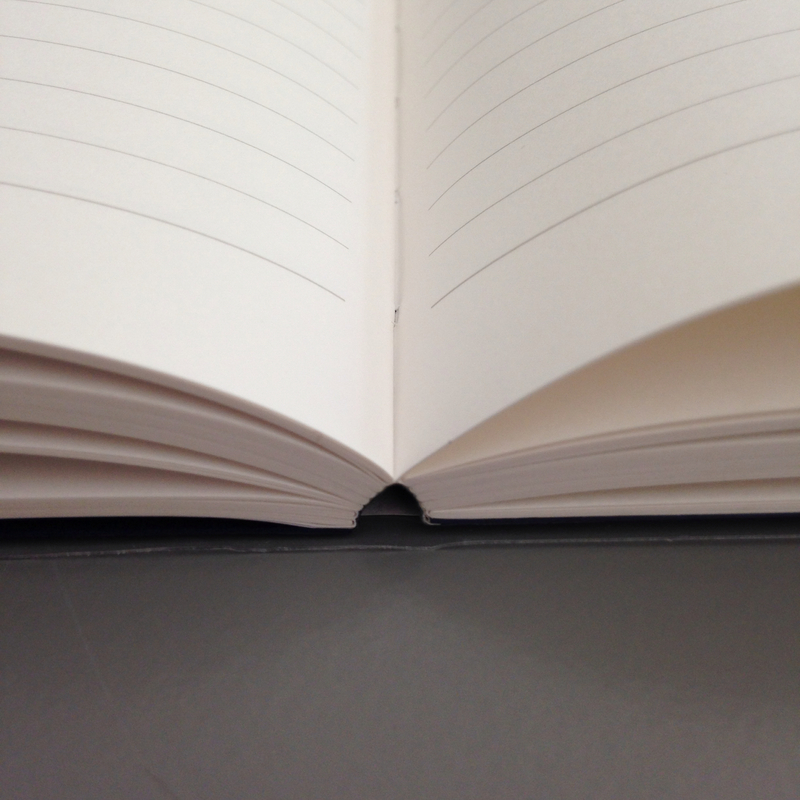 The pages are squared (rather than rounded) and binding is sewn (rather than stapled). Some people prefer rounded corners because they may show less wear and tear over time. I like the look of square corners, especially in thicker books. Sewn binding is more expensive to produce than other types of binding - it looks better and it helps the book lay-flat. Choose the paper like you would a good pen. 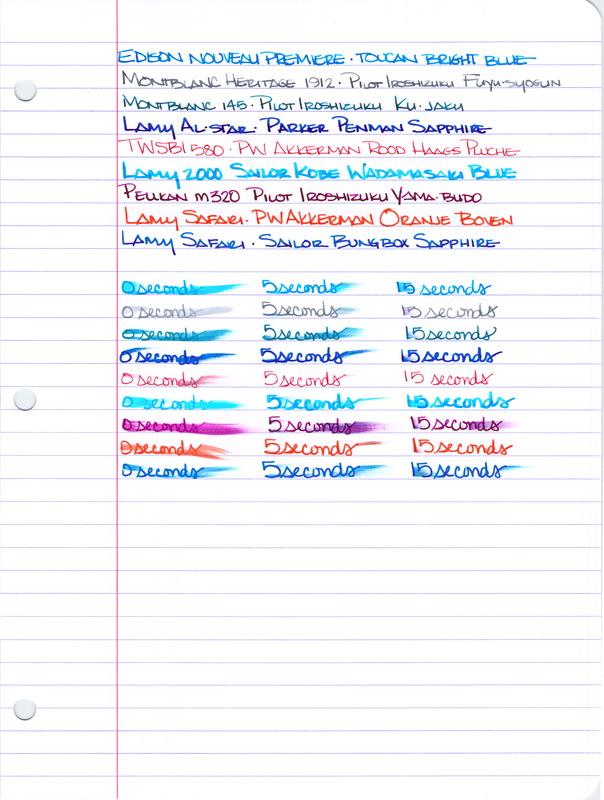 This A5 notebook came to me via Goulet Pens. They sent it to me in exchange for my honest review. Goulet has this notebook listed at $16.20. 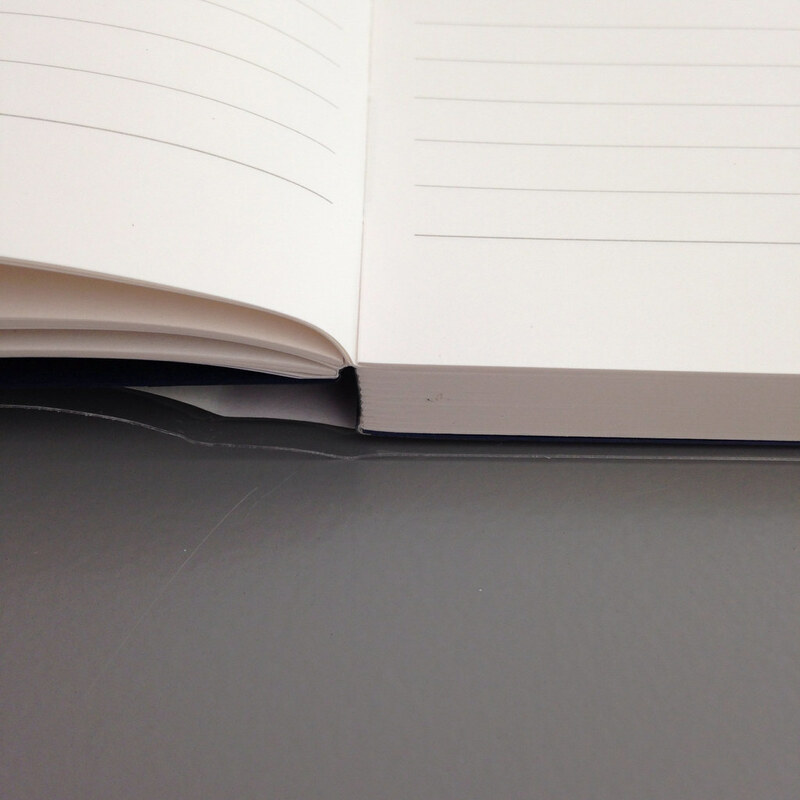 Apica makes other notebooks, too - they are not all made with the same "A. Silky 865 Premium" paper. The Apica A5 has 96 sheets of paper. That's 192 pages to write on if you write on the fronts and backs of pages. 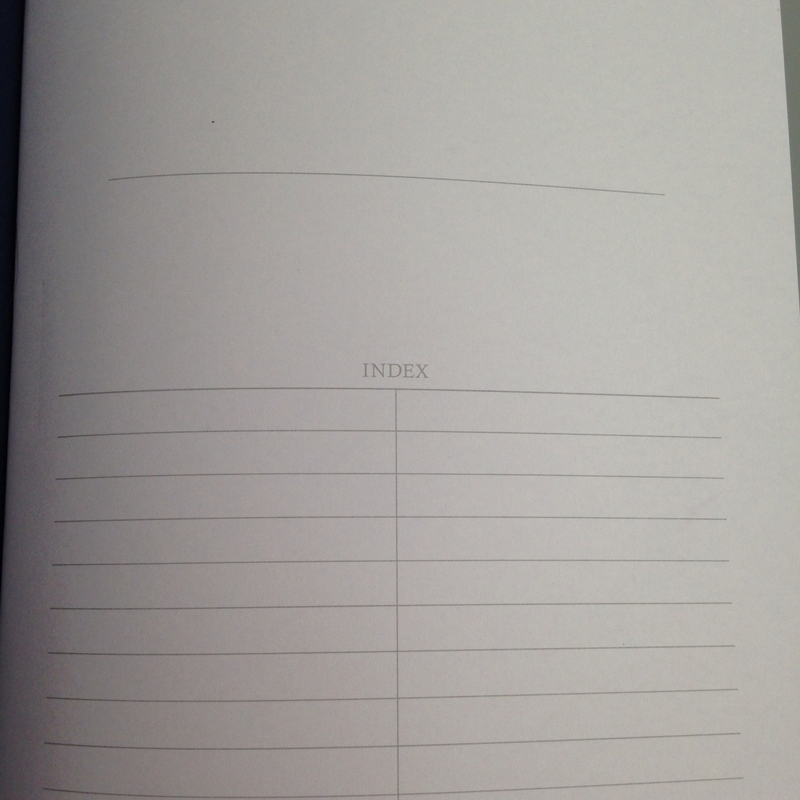 The first page of the book is a gray title/index page. Definitely a premium touch that most other notebooks don't have. But what you really want to know about is the paper itself, right? The paper feels so smooth. It's buttery, luxurious, and definitely, absolutely premium. The color is a very light ivory and the lines are gray. Very easy on the eyes. Ahhhh. 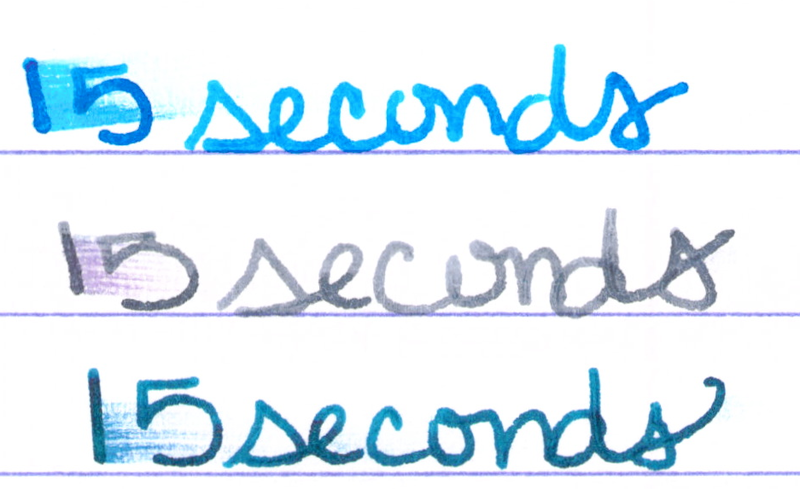 I compare it below to my everyday use paper - Clairefontaine 80gsm. Because the paper is so smooth and almost (but not quite) feels glossy, I was concerned that smearing would be a Major Issue. Here's a comparison . . . The Apica paper in this notebook feels better (more silky smoothness) than Clairefontaine and that made the writing experience better than on Clairefontaine. 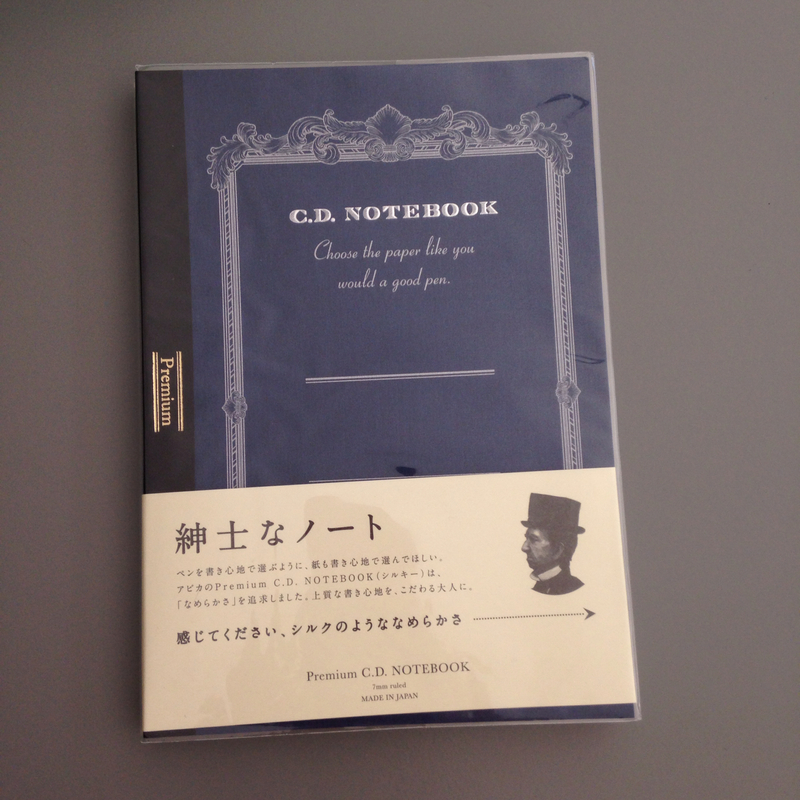 I love it and will definitely use the notebook I received. 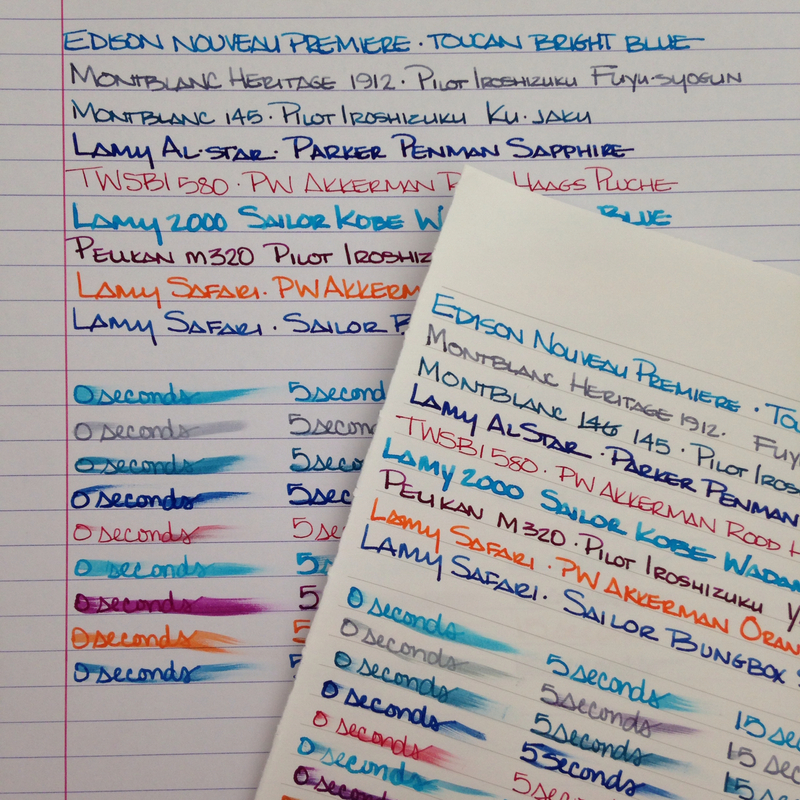 Inks look brighter on the white white paper of Clairefontaine, but they look richer on Apica. There was very little ghosting and no bleed through with either paper. Dry times seem comparable, too. Here's the complete Apica test sheet. Click here for the huge full-size image . 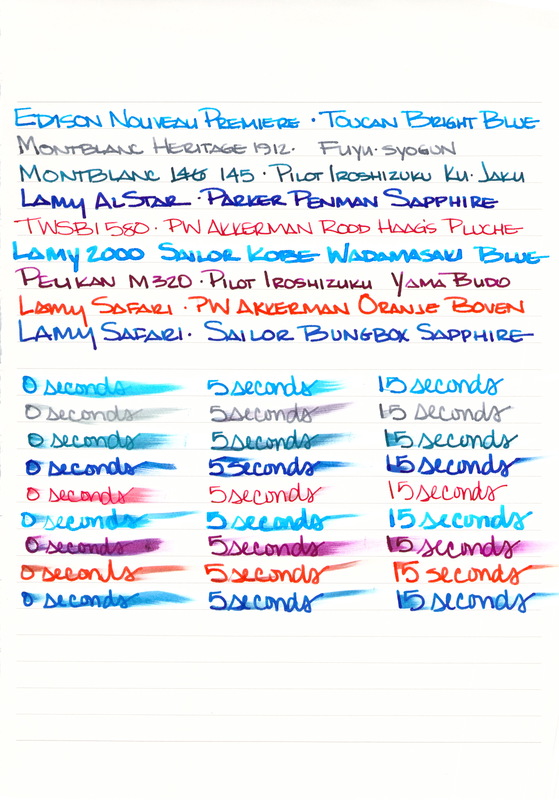 . .
And here is the complete Clairefontaine test sheet. Click here for the huge full-size image . . .
Clairefontaine in the A-5 clothbound version comes in at $9.50 for the same number of pages. The cover isn't as fancy, and the paper may not feel quite as smooth, but if you're looking for bang for your buck, I'd tell you to get Clairefontaine. 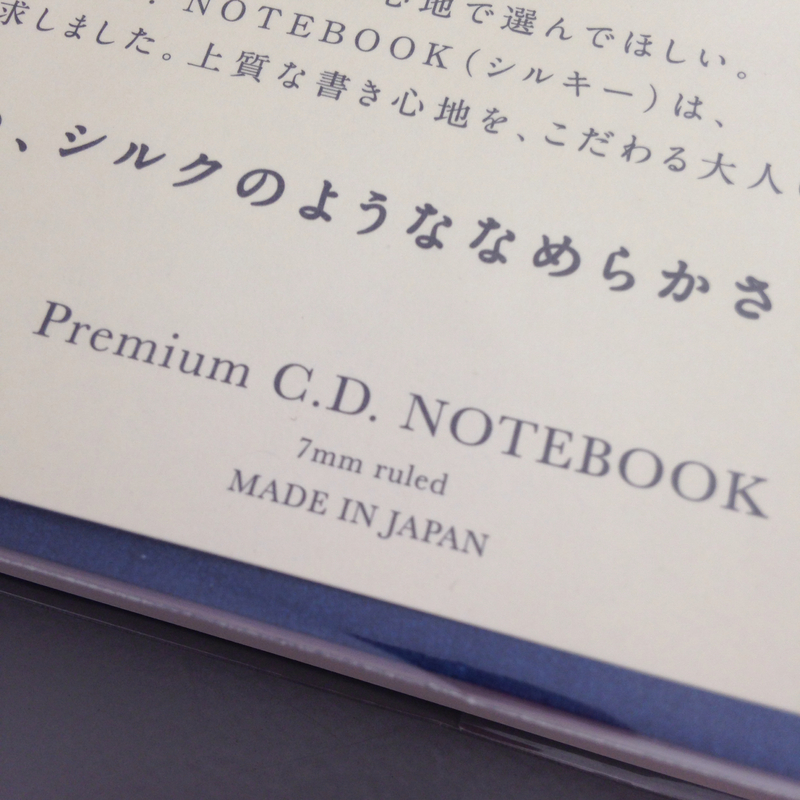 If you're looking for a very special notebook, though, get the Apica Premium. You really and truly will not be disappointed. The silky paper is like no other paper I've used. And finally, let me ask you . . . which paper do you most love? which paper do you use most? Do you prefer clothbound or wire binding? I'll be back on Wednesday with a Giveaway. Stay tuned . . . Thank you for doing this great review and comparison! I haven't had a chance to try either brand of notebook, but right now am enjoying a MiquelRuis journal. 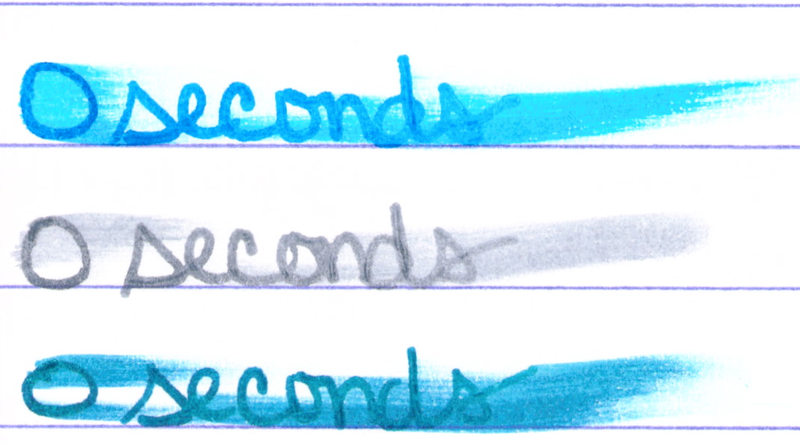 I am personally a fan of any paper that can handle a wet pen, and even better, bring out the shading in an ink! Thanks for stopping by. Clairfontaine is definitely my favorite every day paper, but man, that Apica is nice! Huge fan of Mnemosyne paper. I find it way better than Rhodia. I also bought a C.D. Premium notebook last week after trying it out at a local store. Wow! The smoothness of them. 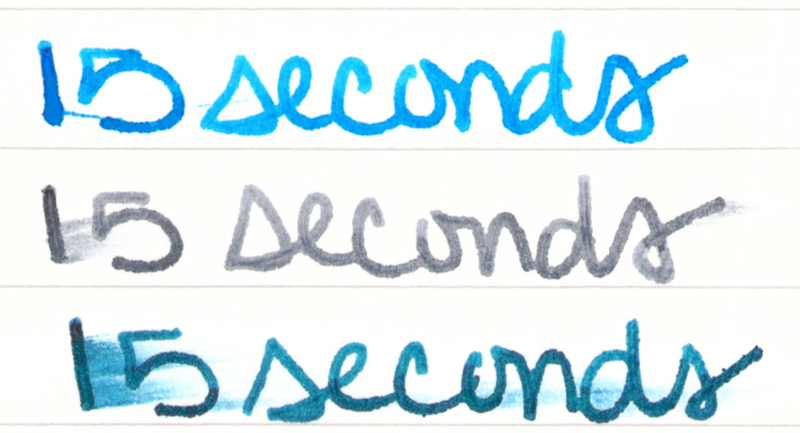 What I love about these two papers is that they ink dries quite fast on them compared to other quality papers. I'm with you, Martine! 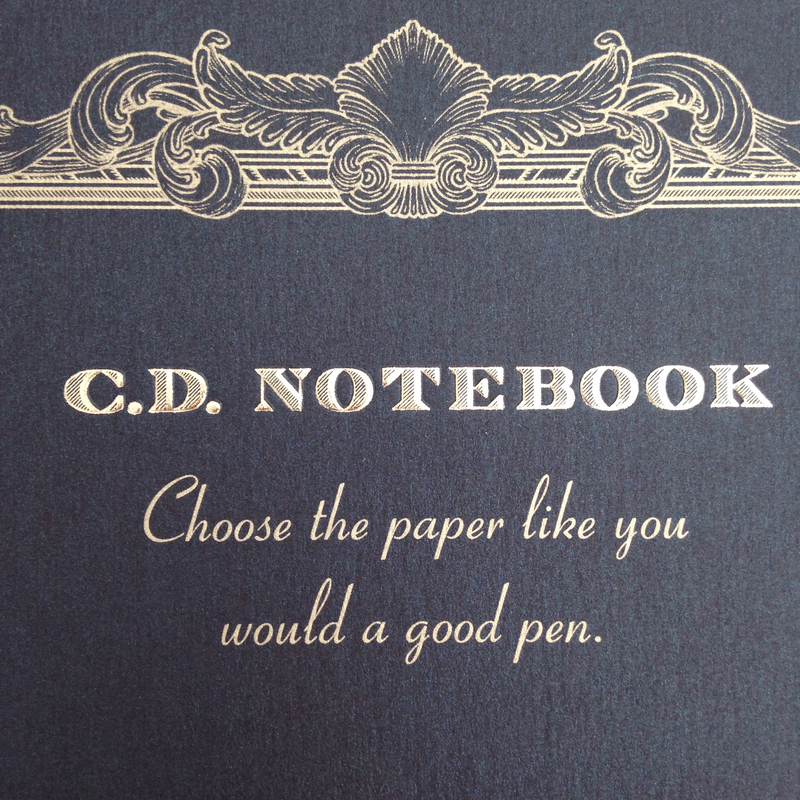 For people who LOVE great papers, the C. D. Premium and Mnemosyne papers are excellent. That buttery smoothness...my gosh!